In our modern age, one would have to admit we’re spoiled. We book flights without putting much thought into the machines that carry us from one location to the next. We order Christmas gifts on Amazon by next day air shipping, not thinking of the engineering necessary to get that Elmo doll from Seattle to New York within a day. The air is a just a place we humans go to get to our next destination. However, this was not always so. In a not so distant past, the sky was home to birds and only a place humans wished to be. Gods and heroes of antiquity took to the sky, but that was it. Balloons had been used to some degree with limited effect. But, the air was a place that only accepted human kind in the form a dream. In the practical world the sky was a place we didn’t belong. Professor Samuel Pierpont Langley was a well-known member of the scientific community prior to the 1900s. His astronomical research was well respected and he became head of the Smithsonian Institution in 1887. In the prior year Langley managed to make two unmanned heavier than air flying models, which actually flew. The more successful of the two actually flew nearly 4800 feet. So far the unmanned and powered models had flown well. Even Teddy Roosevelt, Secretary of the Navy at the time, had seen them and was impressed. The time for a manned flight had arrived and Langley sought a large government investment to help him along with the project. This wish was granted when a friend got Langley’s proposal put on the desk of President McKinley. Langley was awarded $50,000 from the Board of Ordnance and Fortification. Work began on a full sized version of the Aerodrome in 1889. Langley seemed more interested in engine power than overall aerodynamic design. The eventual final design resulted in an amazing 52.4 HP engine, which was staggering for this time period. The final manned tests were a disaster though. The first on October 7, 1903 launched the Aerodrome from a catapult on the top of a houseboat. The plane went straight off the catapult and into the river. The second test in December wasn’t much better. As soon as the plane launched it broke apart and the pilot and his machine ended up in the Potomac River in Washington D.C. The funding for the project was cut and Langley became the victim of widespread ridicule. The government investment, worth $1.5 million dollars in 2018 figures, was thought to be a total waste. The U.S. government would be apprehensive from this point on when it came to investing in flight. Well respected scientists with government backing couldn’t crack flight, maybe it was hopeless. Perhaps man wasn’t destined to achieve powered flight after all. The Wright brothers had no pedigree like Professor Langley. They both mostly completed high school, but neither ended up with degrees. Orville started his own printing business in 1889 after building his own printing press, with Wilbur’s help. They printed their own newspaper for a time, then moved onto commercial printing. A new national craze was catching fire in the United States around that time. The bicycle had captured the public’s attention. The brothers decided to take advantage of this fad and opened their own bike repair and sales shop in 1892 and by 1896 had created their own bicycle. In addition to the bicycle craze, the brothers had been following stories about another subject in the newspapers. 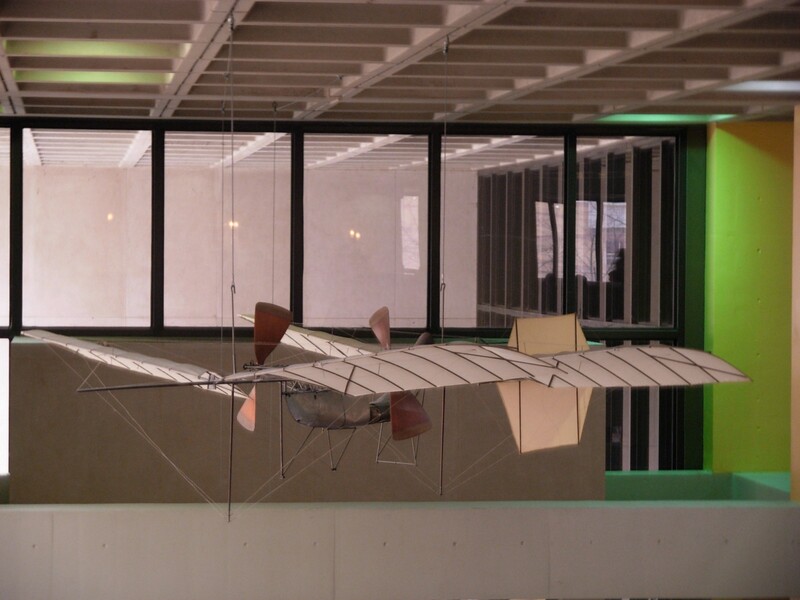 A man named Langley had flown a successful unmanned steam-powered model plane. They had also been reading stories about “the flying man” Otto Lilienthal. Otto had made repeated successful flights with gliders, but died in a crash in 1896. Despite the dangers, the brother’s mind was lost in the possibilities of flight. They also saw a common problem that other fliers seemed to ignore. The brothers believed the ultimate way to solve the flight problem was manageable controls. The fliers practicing gliding used their body for control; the fliers using engines were focusing on the power of the engine. 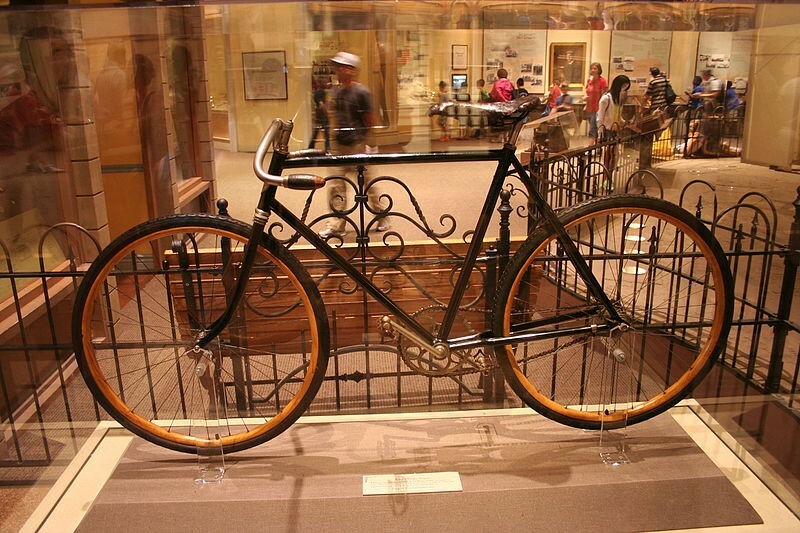 The Wright Brothers experiences with making their bikes proved to them that control over the machine was the ultimate way to conquer flight. They went to work designing their own glider with control over the aircraft as one of their primary concerns. 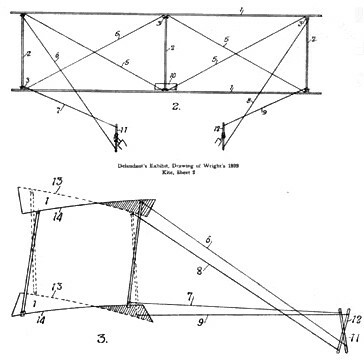 In 1900 and 1901 after testing kite style gliders successfully, the brothers attempted manned glider flights. They built a glider similar to existing gliders with a few exceptions. They changed the horizontal elevators (controlling pitch) to the front of the plane. They thought this might prevent an event the likes of which killed Otto Lilienthal. They also designed the wing-warping control into the craft. The tests were disappointing. The wing-warping turned the plain the opposite direction they tried to turn it. The glider also only produced 1/3 the lift their calculations predicted. Everything worked out so well on paper, but why wouldn’t it work in practice? As the Wright brothers thought more about the calculations they were using, they started to think the mathematics itself might be wrong. They had been using the traditional formula for lift and data tables collected by Lilienthal for their preflight calculations. After studying his own flight data, Wilbur discovered one of the numbers in the lift formula was exaggerated. The Smeaton coefficient, which is the coefficient of air pressure was too high in their formula. This was resulting in lift calculations that were too high. This particular coefficient had been being used incorrectly for 100 years. The brothers needed to know if Lilienthal’s data tables were correct as well or if the problems resulted just from the Smeaton coefficient. They devised another experiment to test the data tables. This test would require a new type of device to test the numbers. 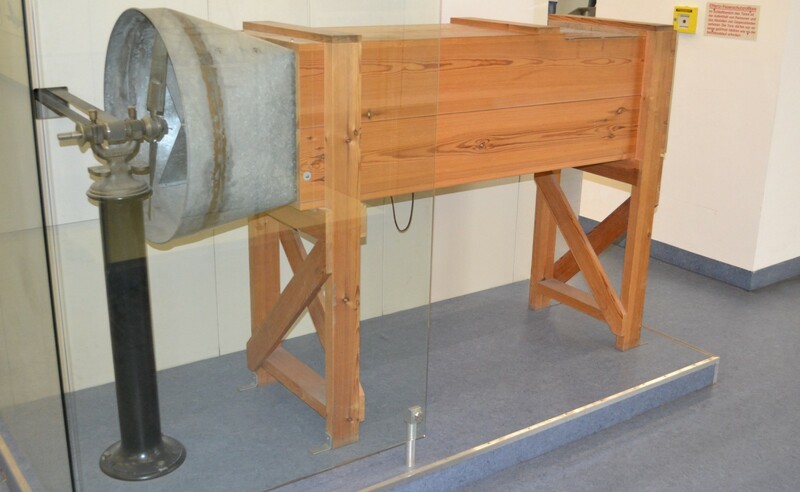 The Wright Brothers would create a wind tunnel. Yes, you heard me correctly, they created a wind tunnel in 1901! The six foot long wing tunnel was made out of scrap metal and bicycle parts, but it produced a treasure trove of information. The brothers were able to test Lilienthal’s data tables and also test numerous wing types to see what was the most aerodynamic. 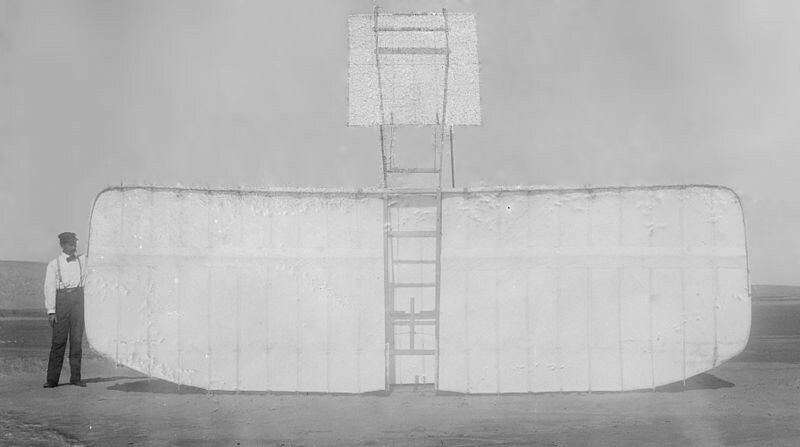 This device was unbelievably critical to the success of the gliders the Wright brothers would make. The tests also proved that the data tables were correct and the problem was just the Smeaton coefficient. Not bad for a couple guys with no degrees or formal schooling. These tests would be radically different. The brothers cautiously flew their new glider from the ground with kite strings and perfected another control. They found that the lack of a tail had caused the glider to turn in the opposite direction of the wing-warp. This time they added a tail, eventually making it movable after the tests showed it lacked the control they desired. With the addition of a movable tail, the brothers created the three-axis control needed for flight. Between September and October they made between 700 and 1000 glider flights and managed the first true control in turns ever achieved. In 1903 they applied for a patent on their design. 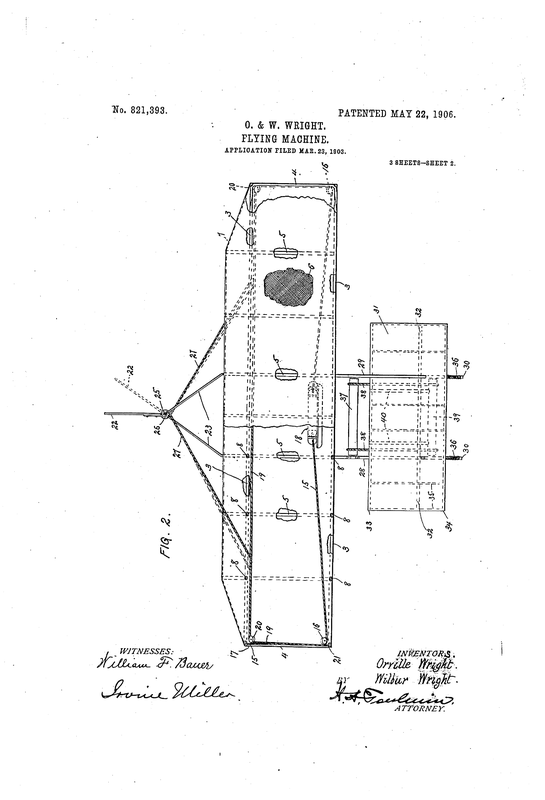 The flying machine itself wasn’t patented, but the controls were. The Wright brothers had worked out the controls for their flying machine, but two pieces were missing. They still needed an engine and propellers. The brothers figured the propeller design would be easy, but it proved to more complex than they thought. Propellers for a boat would prove to be useless for flight after careful examination by the brothers. There was also no real science for propeller design on aircraft. They’d have to create a propeller design from scratch. After much fighting between the brothers, they decided to treat the propeller like a rotating lifting device; they almost treated it like another wing section. They also had another advantage in creating their propeller design, a wind tunnel. After numerous trials, they created a prototype that was, according to Orville’s data 66% efficient. In 1997 a team of researchers recreated the Wright brothers’ first prop and discovered it actually reached efficiencies of 82%. Needless to say, that was a stunning success for 1903 era technology. The next issue would be getting an engine to power the aircraft. This also proved difficult for the brothers. There was no manufacturer that created an engine which was as light weight as they needed. They undertook this enterprise themselves as well. The brothers asked one of their employees, Charlie Taylor, to build them an engine. Taylor built an engine in six weeks with an aluminum block to meet weight requirements. In their rough sketches given to Taylor, the brothers stated they need an engine to produce 8 horsepower. Charlie’s engine produced 12. 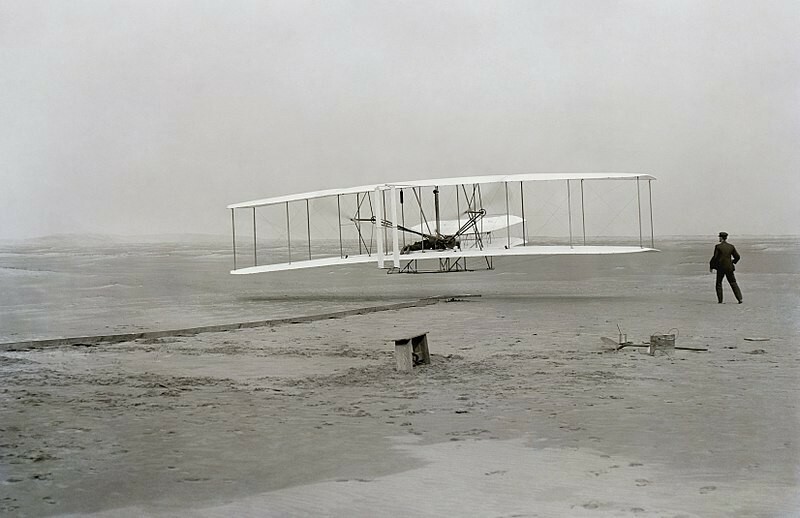 On December 17, 1903 the brothers were ready and put their machine, the Wright Flyer I, to the test. A few months after the Langley debacle, The Wright Flyer I made three flights in Kitty Hawk North Carolina into gusting winds of 27 miles per hour. The longest of the flights being near 200 feet and reaching an altitude of about 10 feet; the brothers only considered it a partial success. Wilbur felt their lack of experience with the machine and poor method of starting it into the air caused the partial success. However limited the triumph, it was the first successful flight of a fixed wing heavier than air flying machine. It was not the grand affair that would have attracted the world’s attention as you might think. Only five witnesses saw the flight besides the Wright brothers themselves. Besides the witnesses, the picture above would be the only proof. Despite attempted press releases, the flights barely made an appearance in any newspapers. The brothers had spent a few years modifying their designs and trying to get a contract for the sale of their planes. They carefully avoided showing the plane in flight, afraid competitors would steal their designs. This caused many newspapers in the U.S. and Europe to claim that they were liars and not fliers. Eventually they managed to talk a purchaser in France and the United States Army to invest in their planes. A successful demonstration would be needed for both purchasers though. In 1908 Wilbur took a Wright Model A to France and on August 8th and 9th performed demonstrations that stunned onlookers. Wilbur effortlessly turned and banked the plane and even managed a few figure eight flying maneuvers. In addition to solo flights, the brothers had rigged a second passenger seat in the plane, mainly to meet U.S. Army specs. Wilbur took members of the French public in the air as well. These flights were seen by thousands and the Wrights instantly became famous and acclaimed for their achievements. In September of that same year Orville took another Model A on a demo for the U.S. Army. 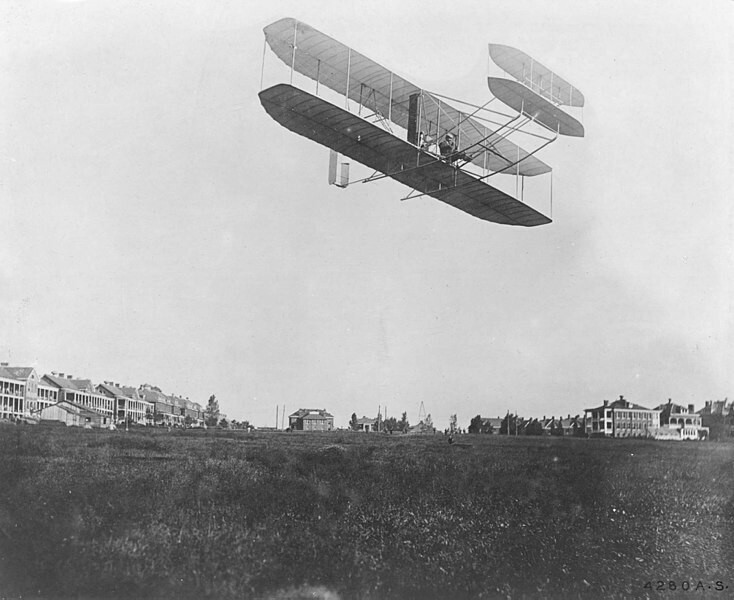 On a flight on the 9th, Orville made the first powered flight that lasted over an hour. Unfortunately, a demonstration on a following day with a passenger met with disaster. A propeller on the plane split sending it crashing to the ground. An army lieutenant died from injuries in the crash and Orville broke his leg and a few ribs. In 1909 Orville would return again this time passing the army’s specification tests. The Model A was able to stay aloft with a passenger for an hour and return to the ground safely. The brothers were awarded $30,000 for their plane and additional bonus for surpassing the required speed the plane would need to travel. 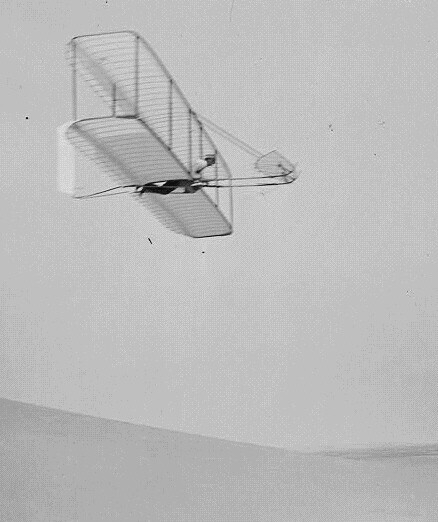 The Wright brothers were part junk yard mechanics, part entrepreneurs, and part daredevils. The level of their achievement is truly hard to put into words. They managed to succeed in creating a flying machine with 1/50th of the investment the government project had spent. Despite having limited education, their hands on experience filled whatever gaps the scientific world couldn’t. When equations they were given by those with ‘superior knowledge’ didn’t work, the Wright brothers created their own tests to fix those formulas. When data they were given didn’t make sense, they created their own wind tunnel to test that data. When others were spending their time creating powerful engines, the brothers used their practical knowledge to enhance flight controls. When the science and engineering for propeller design didn’t exist, they created it themselves. When a lightweight engine didn’t exist for their application, they created that themselves as well. 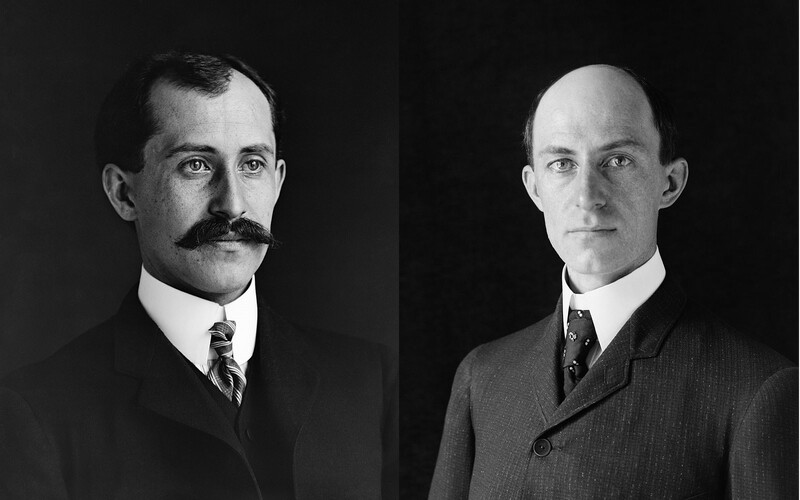 The Wright brothers are a timeless example of how private enthusiastic entrepreneurs can outperform heavily financed and government backed organizations. They’re also a prime example that a degree or title in itself doesn’t qualify you for success in an endeavor. Experience, imagination, and courage will generally be the currency that pays for success. These men should be heroes for all small business people, tech startups, or dreamers in their garages trying to invent the next machine of our imaginations. They were also the daredevils of their age, taking to the sky in ways people of their time could have never imagined. The planes the brothers designed may have been better than anything of the age, but they were inherently dangerous. Orville and Wilbur took their lives in their hands every time they took to the air. Their courage, ingenuity, and perseverance should be something we all honor. This tremendous gift of flight and all of the blessings it gives us was in large part due to these two tinkerers.